It's a great accessory for our 6.5 gal/8.5 gal water tank. With its special design, it is very easy to install/uninstall the handle. 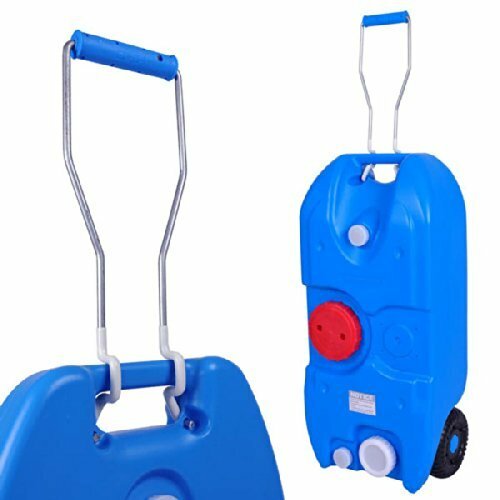 It extends the height for water tank, when you wheel it. It will be easier for you to move the water tank with full of water, while you travel around. * Dimensions: 15 3/4" x 5 3/4" x 2"
Please note that the portable water tank in the pictures is not included. It's for demonstration only.